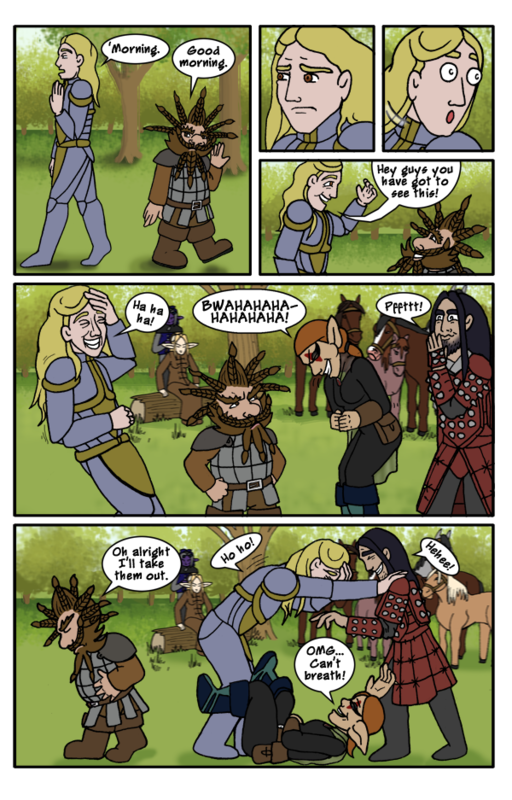 This week in Epic Fail: The rest of the party find Clodin’s new hair style hilarious. Creator’s Commentary: Arguably I’m just milking the same joke. It’s rather fun drawing people doubled over laughing. By the way Yoru is brushing Tinuvielle’s hair in the background there. I though that was rather cute. News on me: I’ve been given my notice (my Landlord is selling the house) and I need to find a new place to live. This is becoming a somewhat familiar pattern for me.